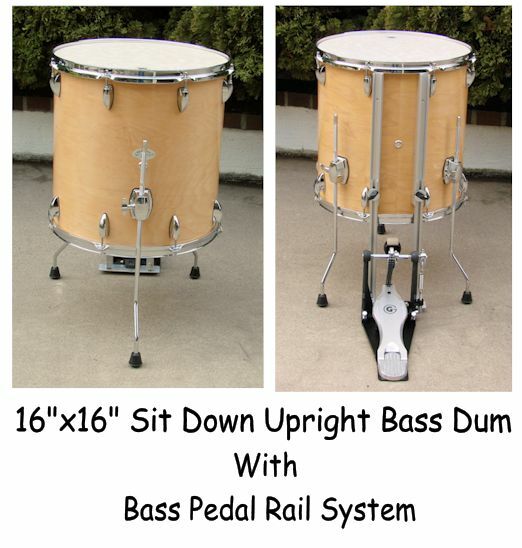 Upright Bass Drum with Bass Pedal Rail System. This is a custom Upright Bass Drum with a Bass Pedal Rail System. The Drum is a 8ply Keller Maple Shell 16"x16" and is built so you can sit down and play. any situation. Also! It sounds GREAT! E-mail me at billyblast@att.net and let me know what type of finish you want "Lacquer or Wrap"